Another Get Ready with me Video from me Today. I have been obsessing over the Berry/Wine Stained lips trend lately and have been shopping around for a matte finish plum shade that is perfect for Autumn. I went shopping last week and was chuffed to find this gorgeous Topshop Lip crayon in Suspect. It’s the perfect Berry colour that I’ve been after. A burgundy red with a hint of plum, I love to wear it with cat eye as I find too much eye make takes focus away from it. Have you found your favourite Berry/ Wine Stained lipstick yet? Let me know your faves! Tags: aw13 trends, Berry Lips, topshop lip crayon, Wine Stained Lips. Bookmark the permalink. Previous post ← FEELING SENTIMENTAL + MARC JACOBS DOT. Excellent video! 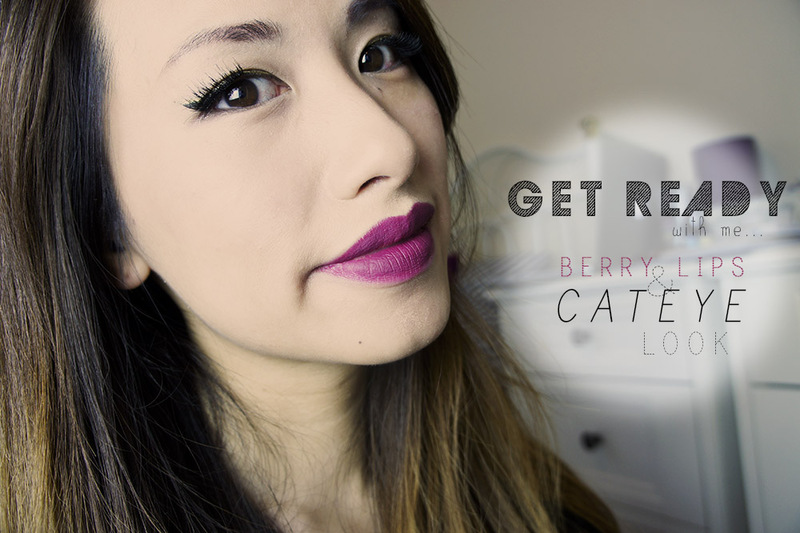 You have great lips and love the cat eye….Perfect! I wish I can perfect that but I end up making the cat eye end too thick…. Beautiful look!